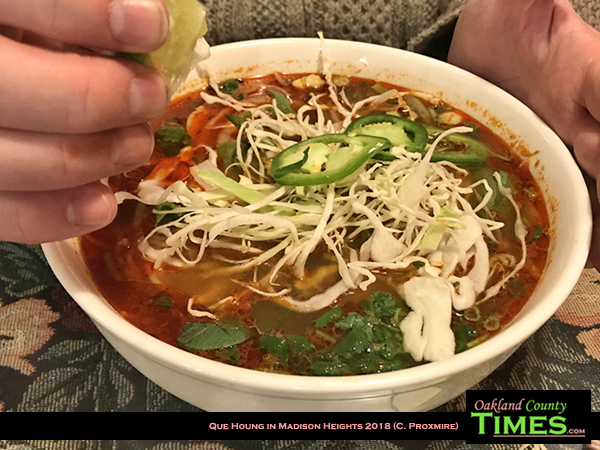 Madison Heights, MI – Que Houng is a Vietnamese term that means “Native Village,” and the folks at Que Houng Restaurant bring the tastes of Vietnam to Madison Heights with a menu full of favorites for dining in or carrying out. “It has all the qualities a healthy eater would look for – a fresh, natural, well balanced meal that is always delicious,” the website says. It lives up to the description. 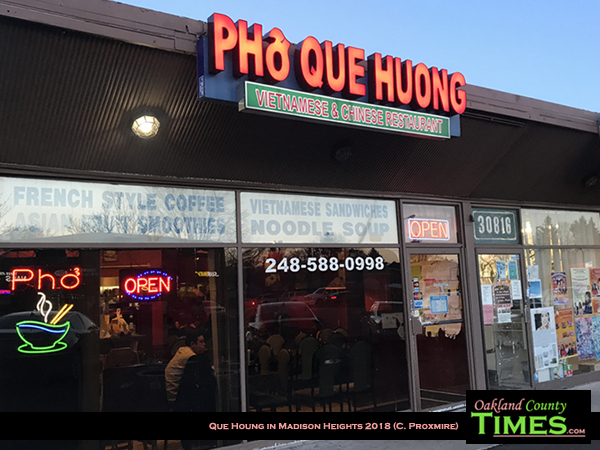 Que Houng at 30820 John R. Rd. is a regular stop for this busy writer, with the #12 Pho Ga being my favorite. 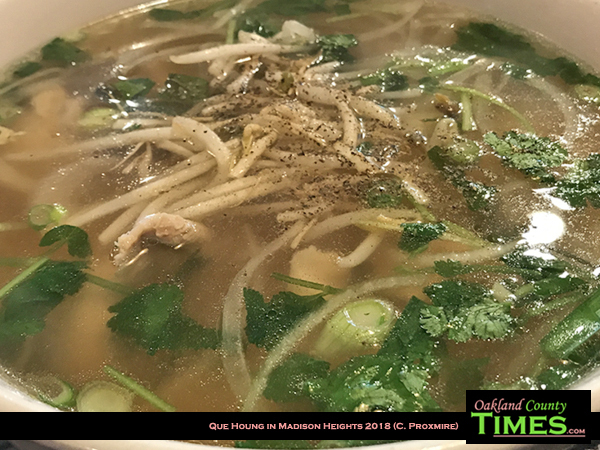 This is absolutely the best tasting chicken stock I’ve had in my entire life served in a giant bowl with chicken, hearty slices of white onion, bits of green onion and parsley. 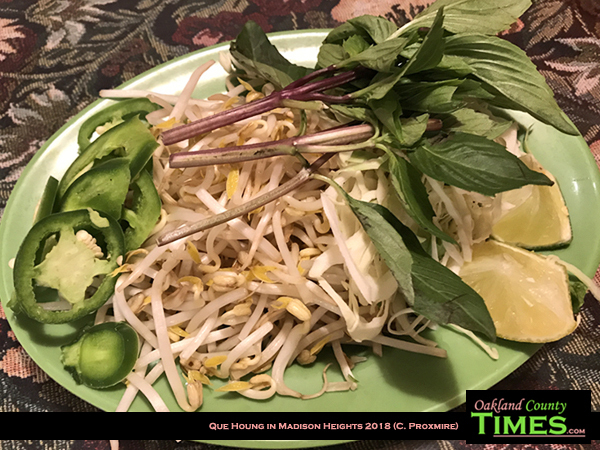 The soup comes with a plate on the side with fresh mint, bean sprouts, hot peppers and fresh slices of lime to be added to one’s content. I haven’t yet gotten away from this perfect dish, though there are many on the menu to try. 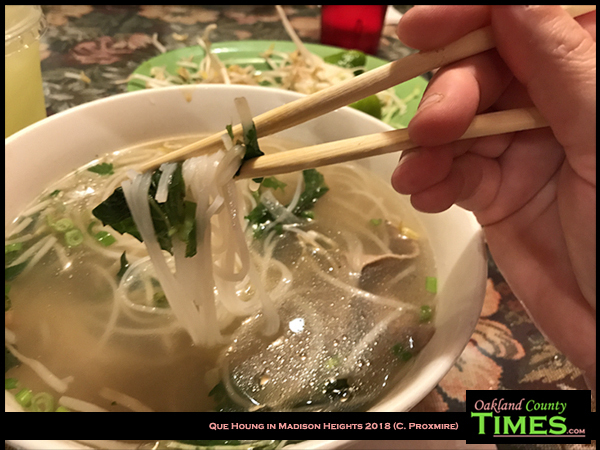 Pho Tai is soup with sliced beef. Pho Bo Vien is soup with beef meatballs. Also on the menu is a section of smoothies. 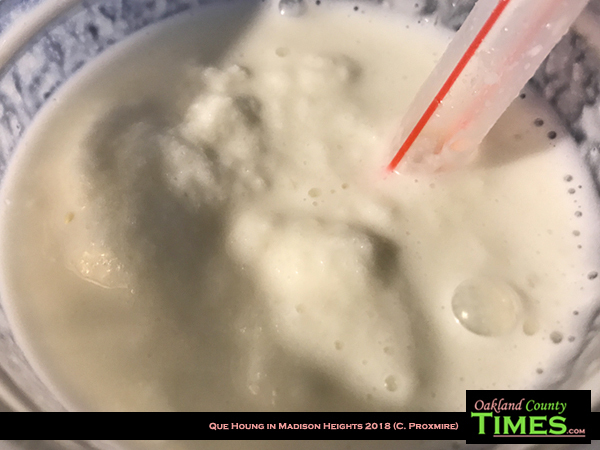 The pineapple smoothie is delightful, but my favorite is the San Rieng, the durian smoothie. Durian is a fruit popular in Southeast Asia. It’s a unique fruit with a flavor that some people either really enjoy or really dislike. I think it’s yummy, especially in a smoothie. This is also a favorite spot of mine, because this is where I learned how to use chopsticks. 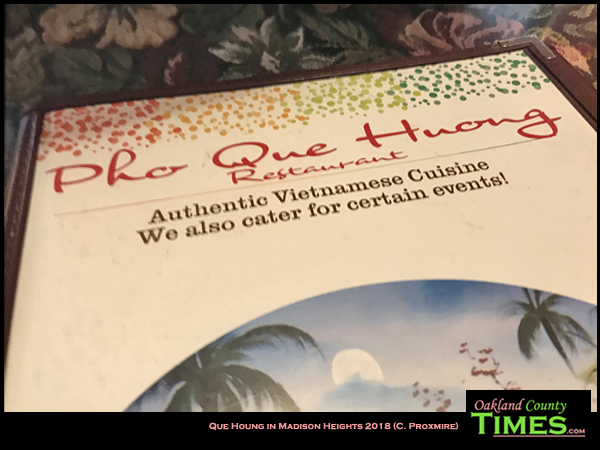 Que Houng does have a website, but there’s not much on it. Stopping in person is the best way to find out what the options are. You can find them online at http://www.quehuongdetroit.net/. Explore more Reporter Food Columns by CLICKING HERE. Find more Madison Heights news HERE.